NO FEE. Available May 1st. This six bedroom, four and a half bath of approximately 3,240 square feet spans three floors. The historic townhouse is located on a highly desirable, tree-lined, land marked block. 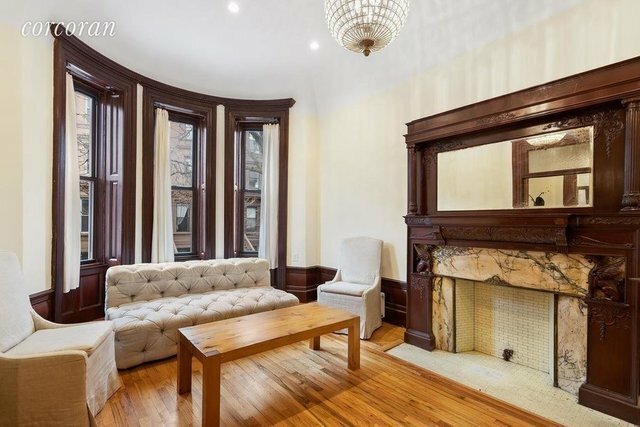 The townhouse is filled with beautiful, original details including four decorative fireplaces and a grand staircase. The Parlor floor has soaring 11 foot ceilings and features a gracious entryway, a living room, a dining room and a large kitchen. The chef's kitchen offers an eight burner Thermador stove, a Thermador oven and dishwasher, a Liebherr fridge, a mosaic backsplash, a quartz counter top and wood cabinetry.The majestic master suite has dramatic double doors and a fireplace. French doors lead to a custom walk-in closet. The master bath has a claw foot tub, a separate glass shower and privacy commode. The skylight streams sunlight through the top floor, where a full laundry room is located. There is additional storage space in the basement. This apartment has private access to the backyard. Pets on a case by case basis. Live luxuriously in Central Harlem, close to the subway, buses, three parks, wonderful restaurants and Whole Foods.